JabbaWockeez Las Vegas brought the house down while winning season one of America’s Best Dance Crew. Since that time has thrilled the audiences. Since that time JabbaWockeeZ Las Vegas has thrilled the audiences in Las Vegas. The five person dance troupe has found and returned to a new home at the MGM Grand and the dance moves as better than ever. Voted by many publications as the Best Family Show and Best All Ages Show, JabbaWockeeZ Jreams show rocks the house with the crew’s brilliant, creative and entertaining moves. JabbawockeeZ new show is entitled Jreams and begins with a warm meeting by Mr. Jabba the security guard who likes to interact with the crowd as the theater fill with guests. The Jreams show is really a mixture of their two previous shows combined with a few new storylines. The event is packed with synchronized dancing to a soundtrack that varies from hip hop remixes to old school Frank Sinatra. The dance troupe is masterful in their story telling techniques that involve everything that resembles Ninjas to Mimes to Power Rangers. One of the segments revolves around a kidnapping with the forces of good and evil portrayed by the various dance crew members. There is also a zombie feel to the show with a cast member dressed as a pilot to represent the zombie aspect of people being on autopilot as they go through life. During this segment the zombie comes to life with the spiritual guidance of SWAG which represents style, whimsicality, audacity and G who is the Enlighted One. Another portion of the show is a rowdy rendition of Street Fighter the theme song from the Fight Club. There is audience interaction with a segment of the show involving an audience member in a skit that moves from marriage, broken hearts and later divorce. 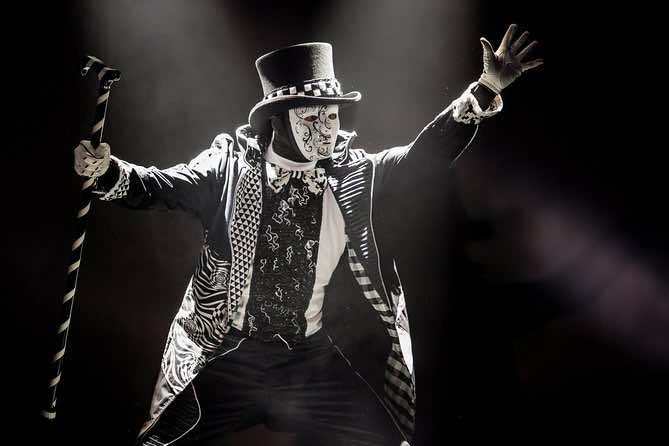 Throughout this 75-minute production the JabbawockeeZ dance crew amaze patrons of all ages with their mime skills that leave guests feeling like they are watching a silent movie which has an incredible soundtrack. 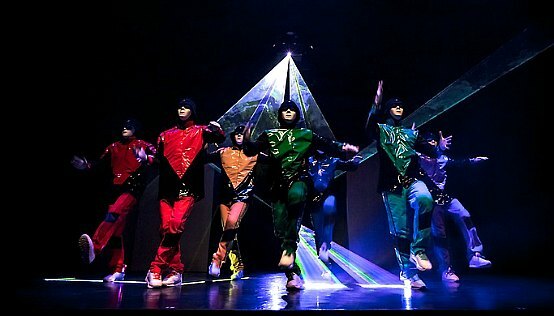 The show features many special effects from projector screens which leaves the audience more time to focus on the masked and white gloved dance crew. When you are looking for your family to enjoy some top notch entertainment in Las Vegas, then this show has the credentials and positive vibe to certainly please everyone. 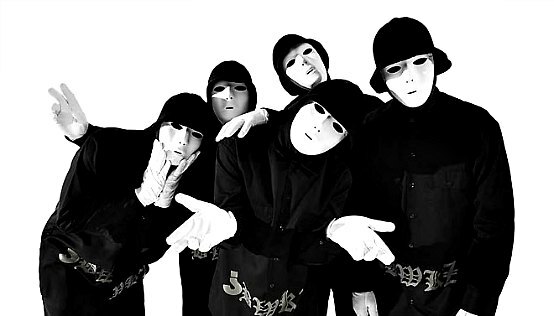 The life of a JabbawockeeZ is unknown but their dance moves are certainly worldly and will leave lasting memories. Jabbawockeez dance crew was formed in 2003 by Kevin “KB” Brewer, Phil “Swagger Boy” Tayag and Joe “Punkee” Larot. Just a year later the group had grown to include Jeff “Phi” Nguyen, Rynan “Kid Rainen” Paguio who still perform in the group. In 2013 the dance troupe added Tony “Transformer” Tran. Over the life span of JabbawockeeZ there have been as many as eleven artistic creators to funnel energy into the synchronized dance routines. Since winning the first season of America’s Best Dance Crew the JabbawockeeZ have appeared on several venues including the NBA All-Star game, Live with Regis and Kelly, The Ellen DeGeneres Show and Dancing with the Stars. They have also been featured as backup dancers with such artists as the New Kids on the Block and Taylor Swift. JabbawockeeZ Las Vegas is performing in their new namesake theater located within the MGM Grand Hotel and Casino. The theater is simple and very intimate with seating for less than 350 guests. The great sight views are enhanced by a state-of-the-art sound system and projection screens. The show is open to all ages and children over four years old must purchase a ticket. This event runs Thursday through Monday with show times varying from 7:00 and 9:00 P.M. Jabbawockeez Tickets are on sale now which include basic seating or VIP seating which includes popcorn, a beverage and special merchandise.